Savoy cabbage is an amazingly underrated leafy vegetable capable of doing great things in the kitchen. 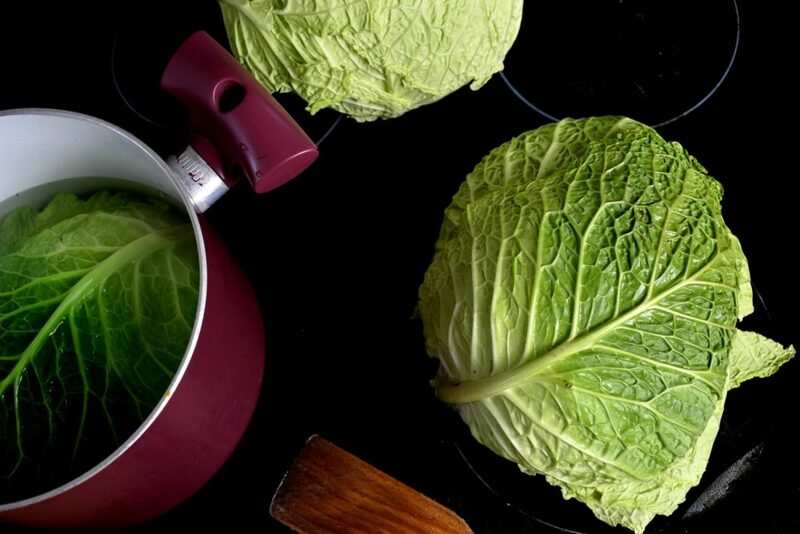 Apart from being healthy and full of vitamins like most cabbages do, savoy cabbages has one particularly interesting feature that is of great use in the culinary world. Savoy cabbage leaves are not losing their texture after being prepared. They stay firm and unyielding unlike the normal cabbage that gets soft and mushy after cooking. Not as soft and mushy cabbages were a bad thing, just have a look at how perfect it is with roast duck. 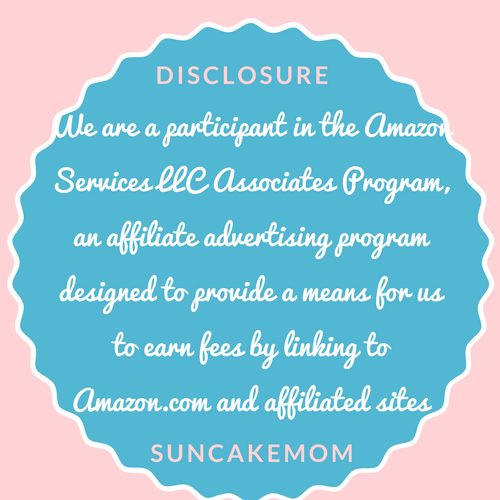 Nevertheless, we can use some firmness in certain dishes like making breadless hamburgers. 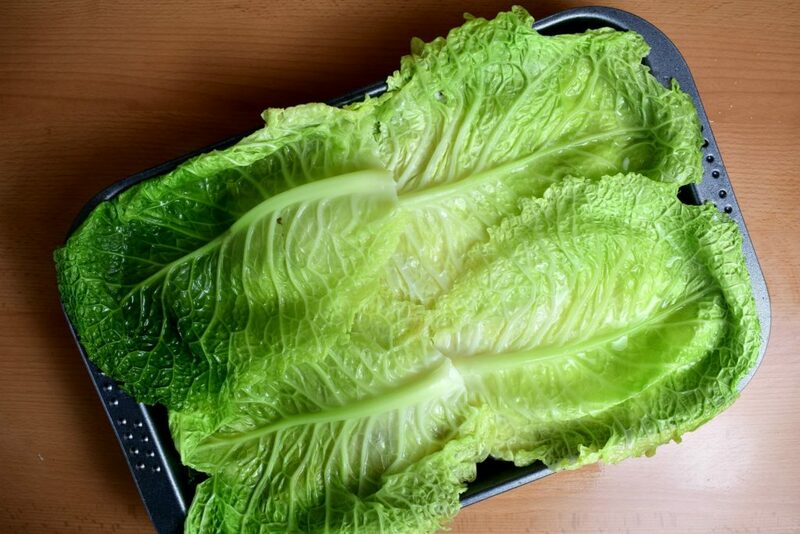 Savoy cabbage is perfect choice to wrap burger meat with cheese and condiments in it. It makes a stunning gluten free low carb meal any day of the week. But life doesn’t stop at wraps and burgers. 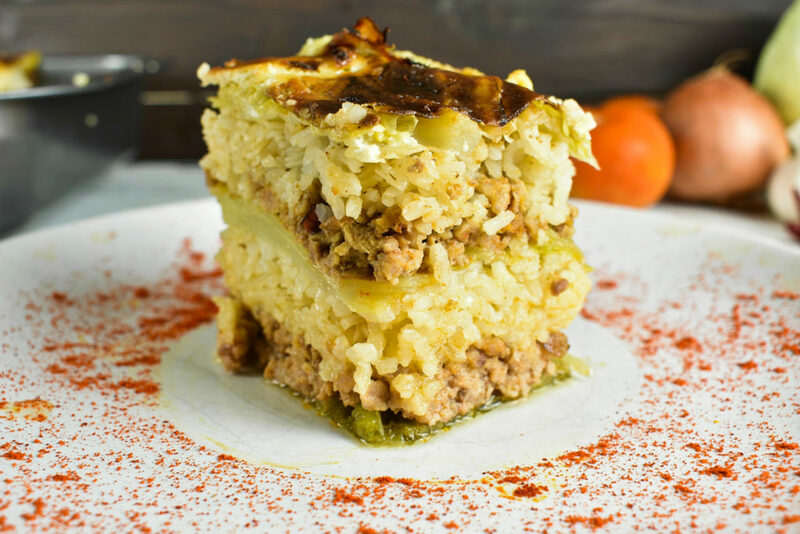 Using the same leaves cooked, there is a way to substitute the pasta in the lasagna to make a marvelous gluten free lasagna, too. Well, that isn’t a big feat nowadays when shops are full of gluten free pasta substitutes but this is still a healthier and low carb option with very little compromise. Savoy cabbage though isn’t just a substitute ingredient that we only pull out of the fridge when there is a gluten panic hits our nerves. 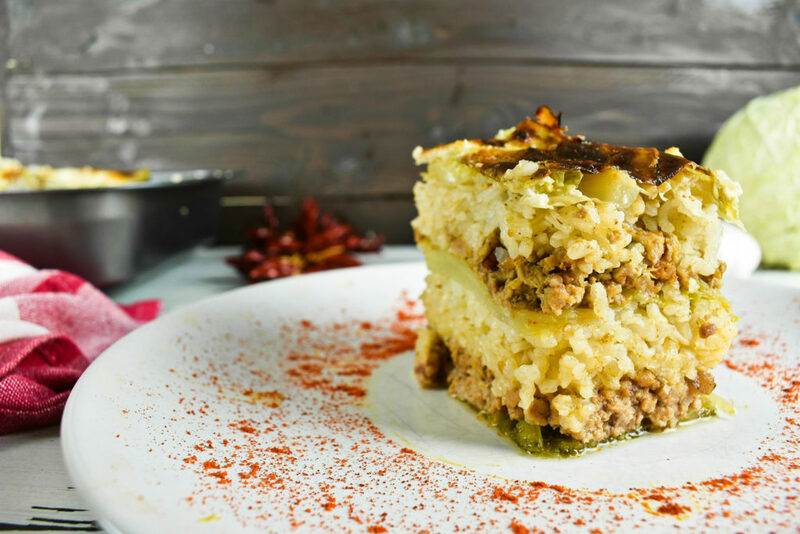 It has its own pride and identity in the culinary world with endless recipes to try. 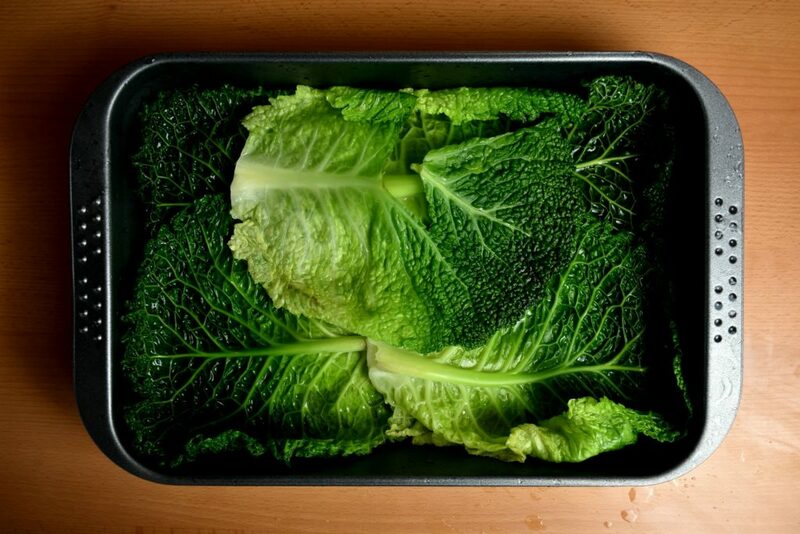 It’s a cabbage, originated from the UK and Netherlands that has been spread around the globe named as Savoy after a region of France for some unknown reason. It’s fascinating how names pop up and stick to dishes in culinary circles. This dish has no fancy name though. It would be worth one but as it is sort of far from lasagna and more than a simple casserole, no one dared to name it to one or the other. Or rather no one cared that much. 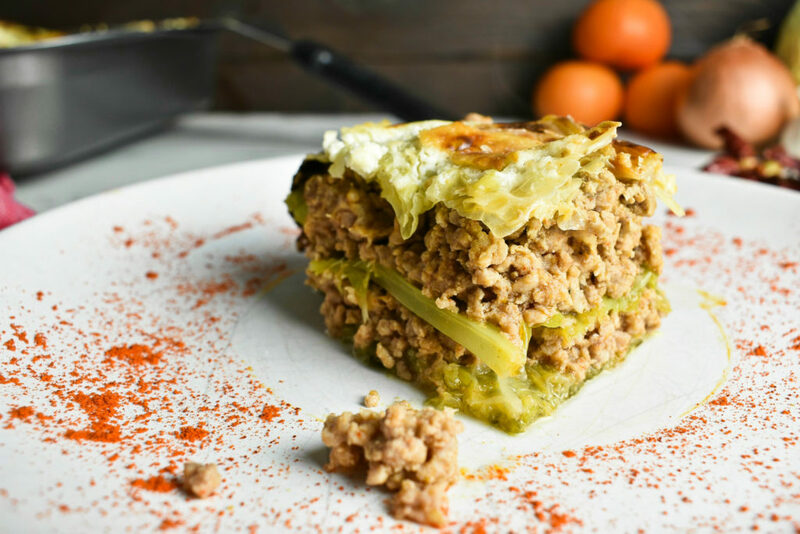 It uses the same principles as the lasagna namely, we are placing meat between layers of cabbage leaves with an optional rice and sour cream level. Obviously if someone is on a low carb or dairy free diet the optional layers won’t play but that doesn’t take off the dish from the menu. It takes a little preparation as all the main ingredients need to be cooked before the layers are put together to be baked but it isn’t labor or time intensive recipe. The meat and the leaves are done until the rice cooks and the whole dish needs another 30 minutes in the oven to get ready. 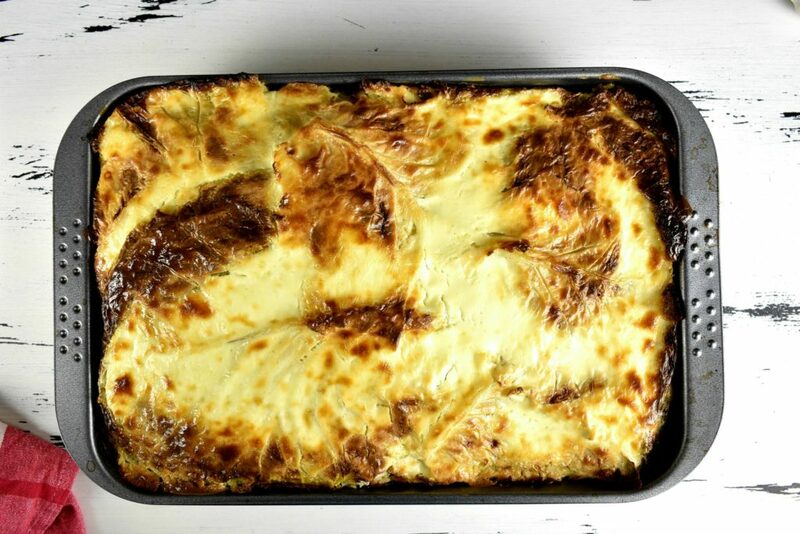 It is an especially sour cream intensive dish so pack up of that or crème fraiche before heating up the oven top. The whole top layer will be thick sour cream that somewhat collapses when baked in the oven. So, we need at least as much crème fraiche as able to spread nicely on a size of baking tray we are going to use, to place the layers on. Some culinary warriors who has never enough adventures go as far as sprinkling breadcrumbs on top of the sour cream. It is meant to create a protective layer for the sour cream from burning and drying out besides providing a crispy golden-brown crust. Sure enough, breadcrumbs will ruin the gluten free being of the dish thus not recommended, aside it is not necessary at all only marked here as a wandering idea. 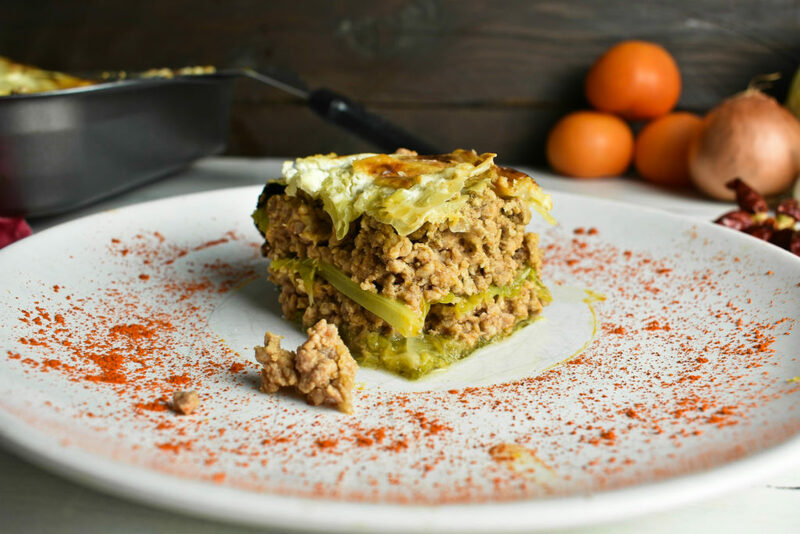 The layered savoy cabbage makes a hearty dish that is not only filling but does it with style and kindness. The crème fraiche helps bundle up all the flavors and spreads them around our tongue like the sea is spreading over the shallow sandy beach bite after bite. 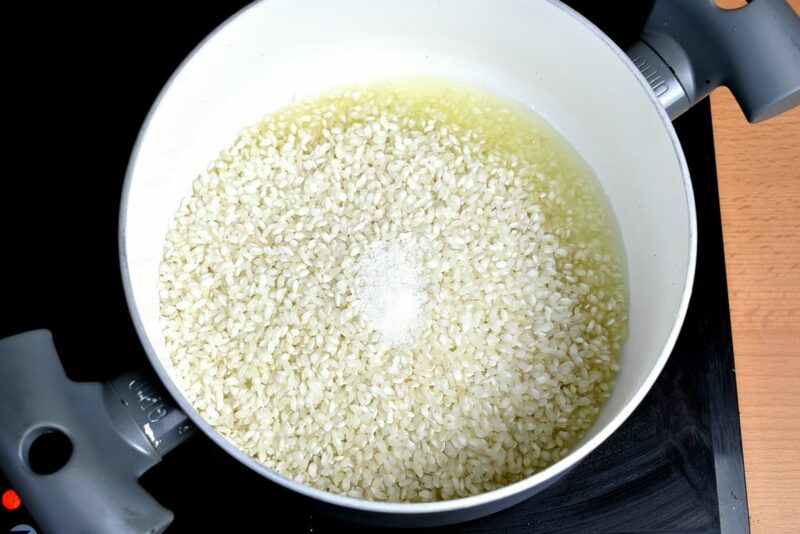 Pour oil into a cooking pot, heat it up then add the rice and salt. Mix it well until rice heats up for about 2-3 minutes then add the water. To quicken the cooking process, already hot water can be used from a kettle. 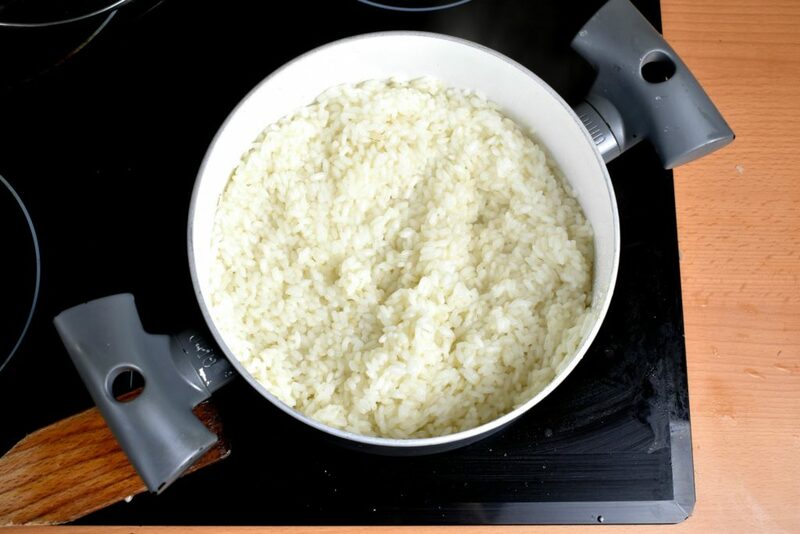 Cook the rice on low to medium heat with lid on until holes appear on the surface for about 15-20 minutes. 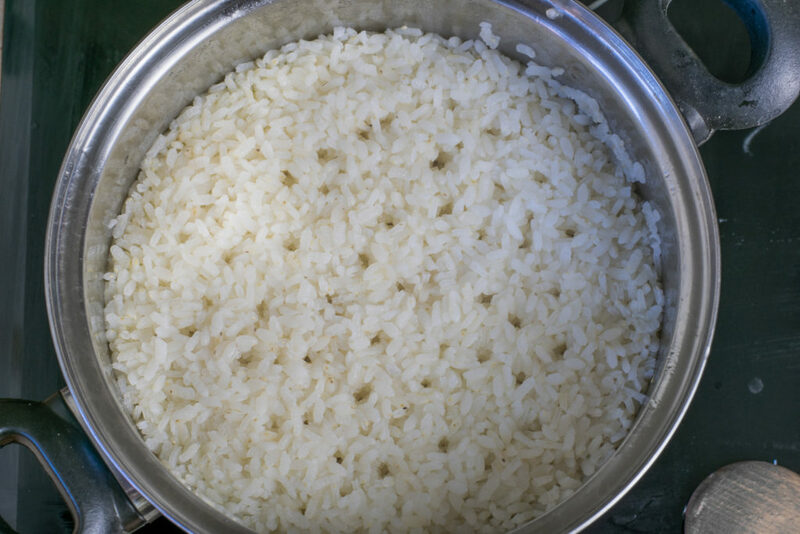 Stir the rice to avoid sticking it to the bottom of the pot then put the lid back. In case of electric cooktop turn the heat off and leave the pot on the burner until the rice absorbs the remaining water. In case of gas burners turn the heat to low and cook on very low heat until the rice absorbs the remaining water then set the pot aside. Stripe or dice the pancetta. Add the pancetta into a frying pan and start to fry it on low heat until golden brown and all the fat is rendered out. Optionally cooking oil can be used instead of fat. Add the diced onion and salt then saute it until a translucent, glassy look. Add the tomato, paprika then mix it well. Add the meat, mix it well and stir fry it for 5-10 minutes. When it loses its water content and starts to fry add water until the meat is quarter submerged, put the lid on and cook it ready for about 25-30 minutes. 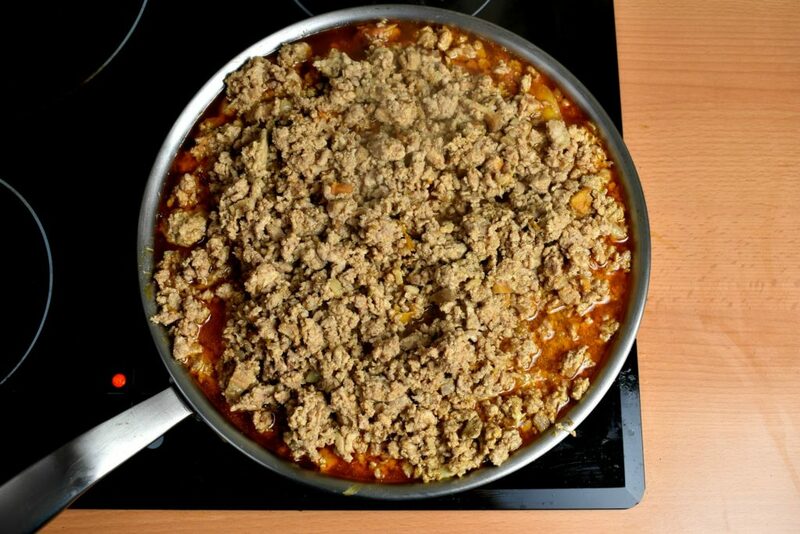 Optionally, the raw rice can be added now, instead of prepared separately and cooked ready with the meat. In a pot boil water, salt and the optional cumin. 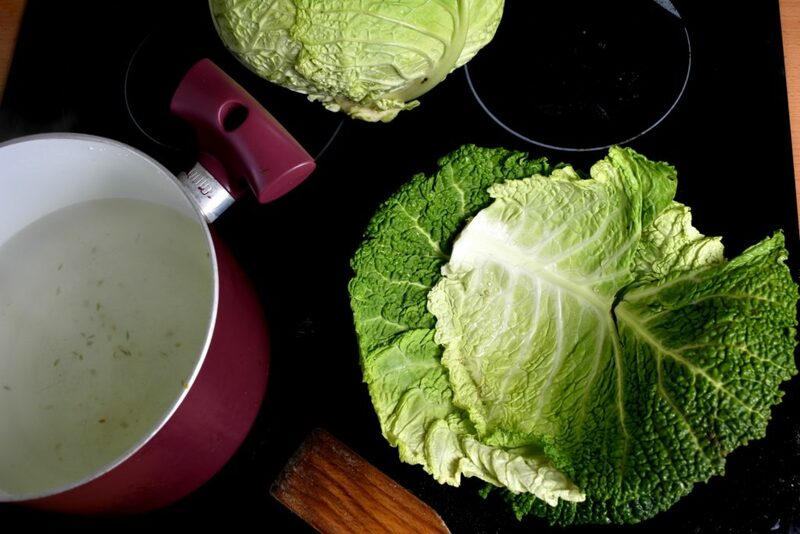 Take the whole leaves off the savoy cabbage and submerge them in hot water. Cook the whole leaves for 2-3 minutes then start to make the first layer in the baking sheet. Spread half of the meat on the first layer of savoy cabbage leaves. 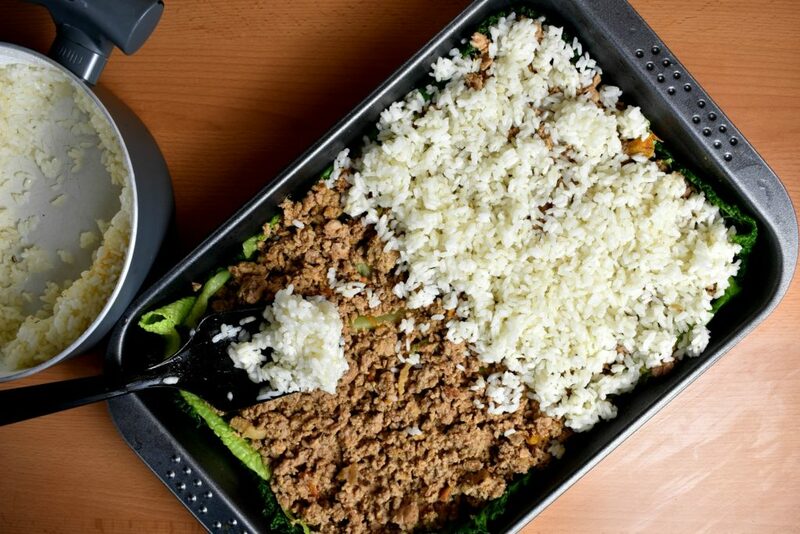 Spread half of the rice on top of the meat. 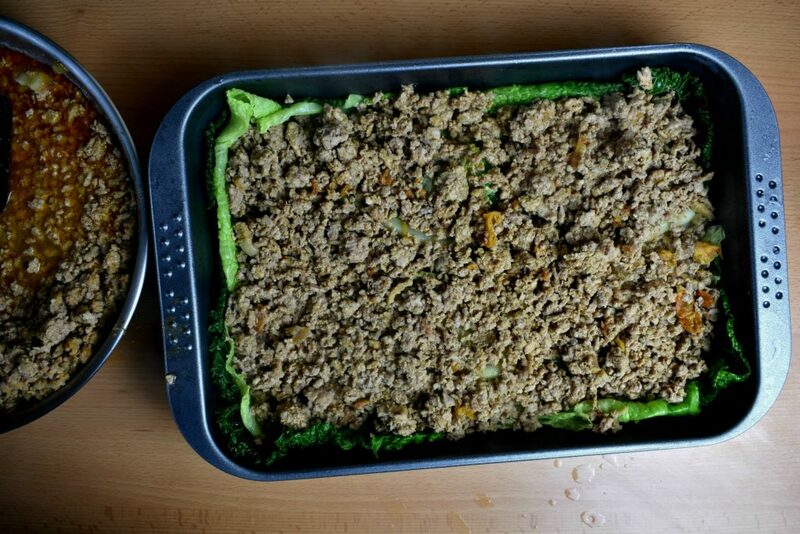 Create the second layer of savoy cabbage on top of the rice then repeat the meat and rice layer again. 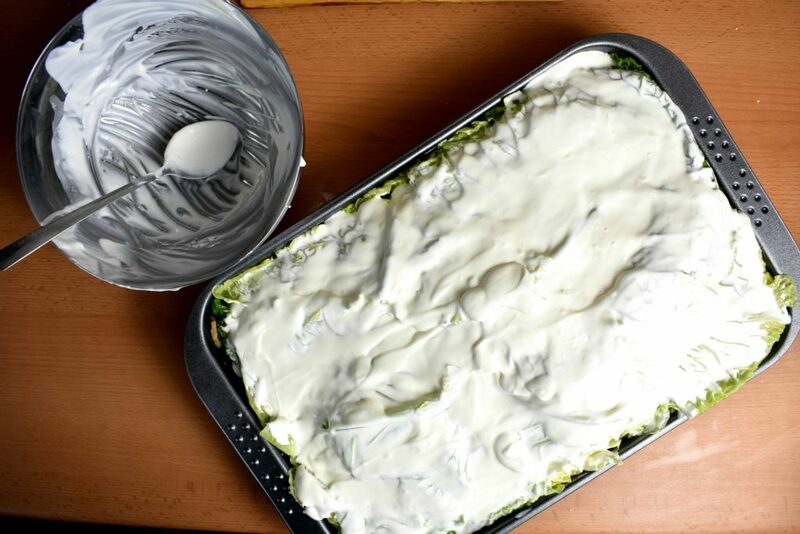 Cover the second layer of filling with the last savoy cabbage layer and spread sour cream on top evenly as possible. The sour cream or creme fraiche needs to be in spreadable form. The best way is to shake its container before opening it up. Bake it in the oven for 20-30 minutes on 390°F / 200°C until golden brown. Add the diced pancetta into a frying pan and start to fry it on low heat until golden brown and all the fat is rendered out. 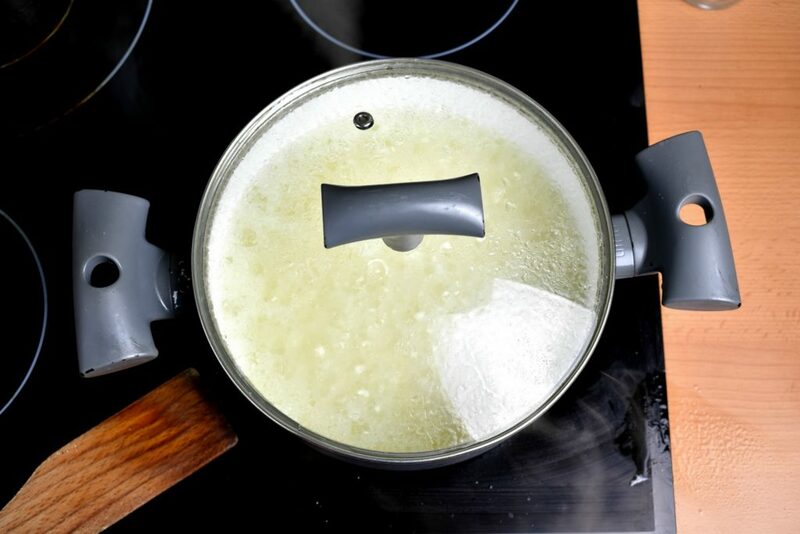 Optionally cooking oil can be used instead of fat.